Aristotle wrote on everything from the shape of seashells to sterility, from speculations on the nature of the soul to meteorology, poetry, art, and even the interpretation of dreams. Apart from mathematics, he transformed every field of knowledge that he touched. Above all, Aristotle is credited with the founding of logic. When he first divided human knowledge into separate categories, he enabled our understanding of the world to develop in a systematic fashion. In an age when philosophers had scarcely glimpsed the horizons of the mind, a boy named Aristocles decided to forgo his ambitions as a wrestler. Adopting the nickname Plato, he embarked instead on a life in philosophy. In 387 B.C. he founded the Academy, the world's first university, and taught his students that all we see is not reality but merely a reproduction of the true source. And in his famous Republic he described the politics of "the highest form of state." 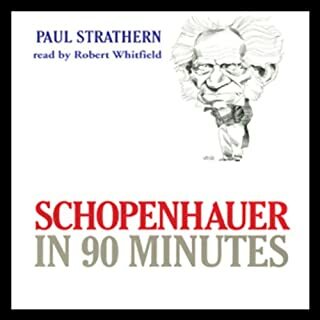 "If we accept Wittgenstein's word for it," Paul Strathern writes, "he is the last philosopher. In his view, philosophy in the traditional sense was finished." 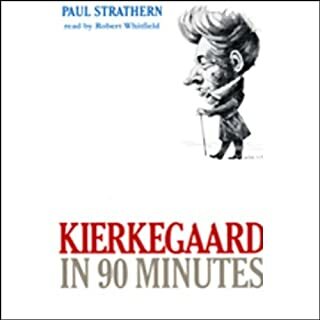 In Wittgenstein in 90 Minutes, Paul Strathern offers a concise, expert account of Wittgenstein's life and ideas and explains their influence on man's struggle to understand his existence in the world. If you know nothing about Wittgenstein, this book is not going to be of much help, though it does provide a scanty biographical sketch of the man. The treatment of Wittgenstein's ideas is both superficial and dismissive. It is hard to actually figure out what the purpose of this book is, other than to display the author's petulance. Best intro to this philosopher is Ray Monk's biography. Unless you already know Wittgenstein, this title will be of little value. If you have previously encountered Wittgenstein, you will be very irritated by the authors tone--sarcastic--and the marked paucity of any real information. There is little sense of why Wittgenstein is important and none of his central observations and insights which inform much of late 20th Century philosophy, culture and language. If you are looking for some deep insight into Wittgenstein, this is not the place to find it. However, as with all of Strathern's books, the weaving of Wittgestein's life with his philosophy gives us a fascinating snapshot of the man. Take some of Strathern's categorical statements with a grain of salt: sometimes (in the name of conservation of space, perhaps) glib statements can turn a complicated piece of Wittgenstein's thought into a muddy generality. 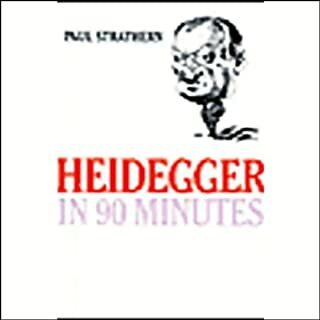 Because it is not possible to to get close to the significance of Wittgenstein's thought in 90 minutes, the best introduction to Wittgenstein might be to brave the chilling intellectual waters and dive into the Tractatus firsthand, perhaps with a copy of Hans-Johann Glock's Wittgenstein Dictionary (from Blackwell) close at hand to prevent mental hypothermia. A look at some introductions to his work by D.F Pears or Anthony Kenny will undoubtedly help. Despite these cautions, I recommend this book, which is well read by Robert Whitfield. Better research.THIS is transparently slanted review of this philosopher's work - only part that might be useful are the last 8 minutes of 3 timelines contextualizing W's time and work. If you could sum up Wittgenstein in 90 Minutes in three words, what would they be? 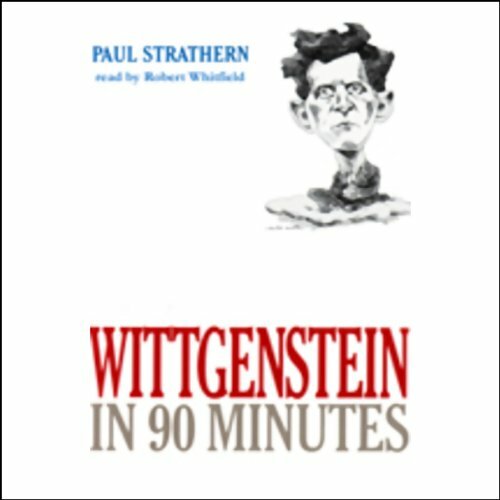 Would you recommend Wittgenstein in 90 Minutes to your friends? Why or why not? 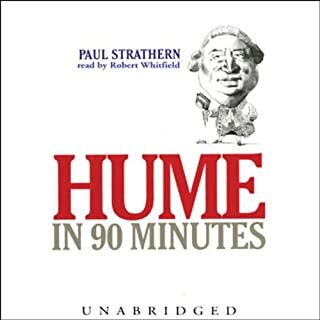 Yes - I've listened to each book in the series about a major philosopher that is available on Audible. 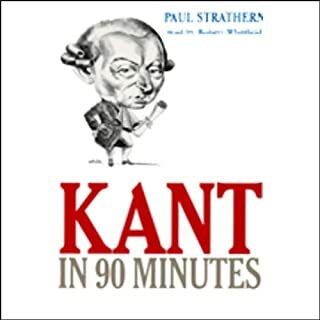 Strathern's books don't have the analytical depth found in Will Durant's "The Story of Philosophy" books, but he does a good job summarizing each philosopher's biography, major philosophical points, and criticisms. 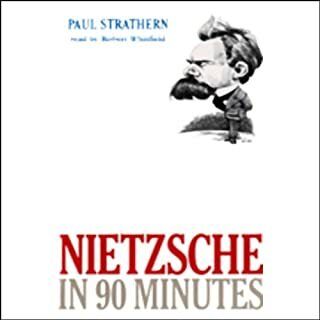 Additionally, Strathern's breadth is broader than Durant's in that he covers a greater number of philosophers. I believe that the time spent listening to these books has been well-spent. My reviews for each book in the series about a philosopher are identical. Voice is clear, well-modulated, and easily understood, even at 1 1/2 speed.